So, you’ve made a lovely meringue but it fell apart when you tried to lift it off the banking paper. Don’t panic! 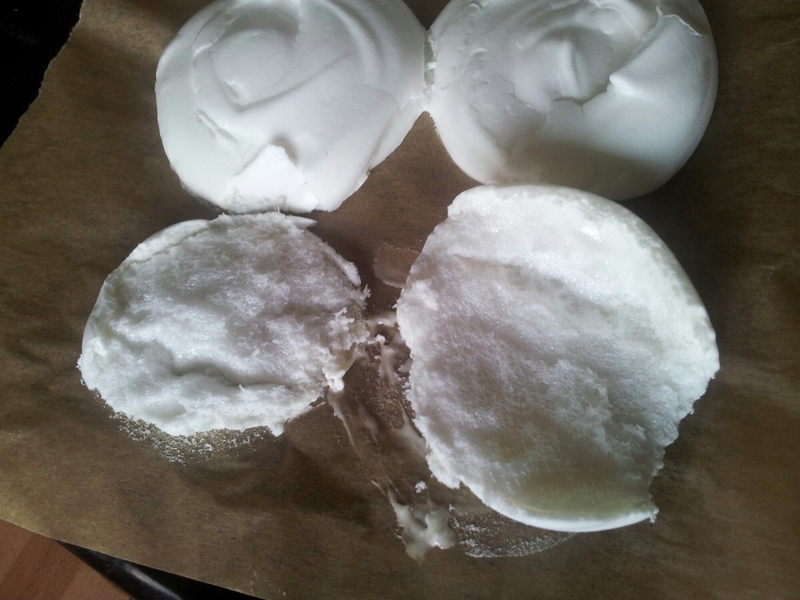 I had such lovely plans to make a pavlova from yesterday’s yummy vegan meringues. However, as you might have guessed, they fell apart. Doh! 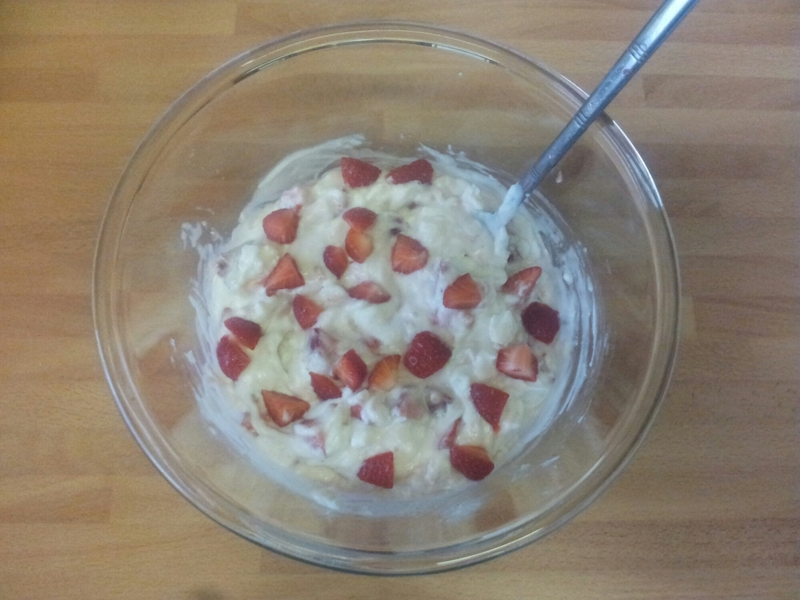 So instead of a beautifully layered pavlova, I’ve made (with exactly the same ingredients) an Eton Mess, which is basically the same thing but all mixed up in a bowl and equally delicious. Scoop your meringue bits into a large bowl. To this we’re going to add some whipped cream, I used a half quantity of my basic coconut whipped cream which I slackened with a generous tablespoon of coconut water from the bottom of the can. I also added about 1/4 tsp of vanilla extract, but you could add more, less or leave it out altogether if you like. 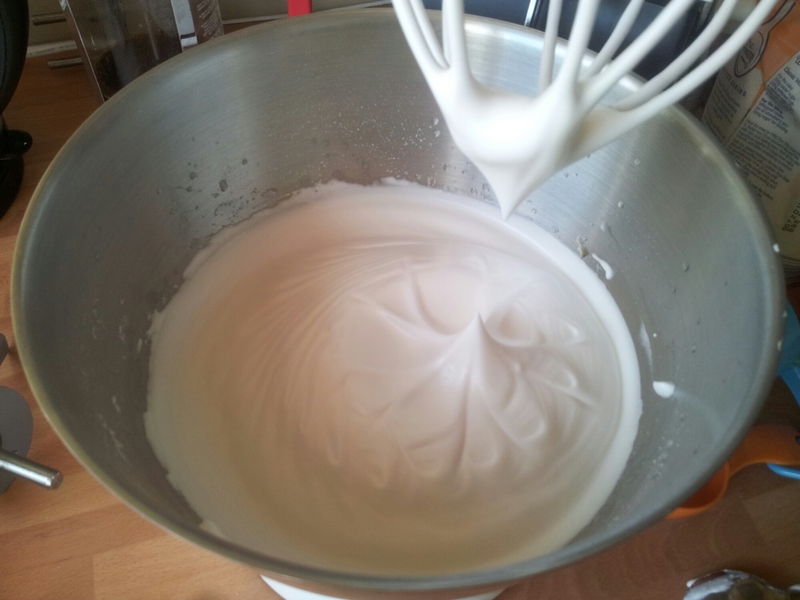 Whisk it all together using an electric hand whisk until it is the consistency of ‘regular’ whipped cream. Spoon half the mixture into the bowl and half into a sealable container and pop it into the fridge for another day. Chop up about 150g of strawberries, roughly into eighths, and add them to the bowl too. 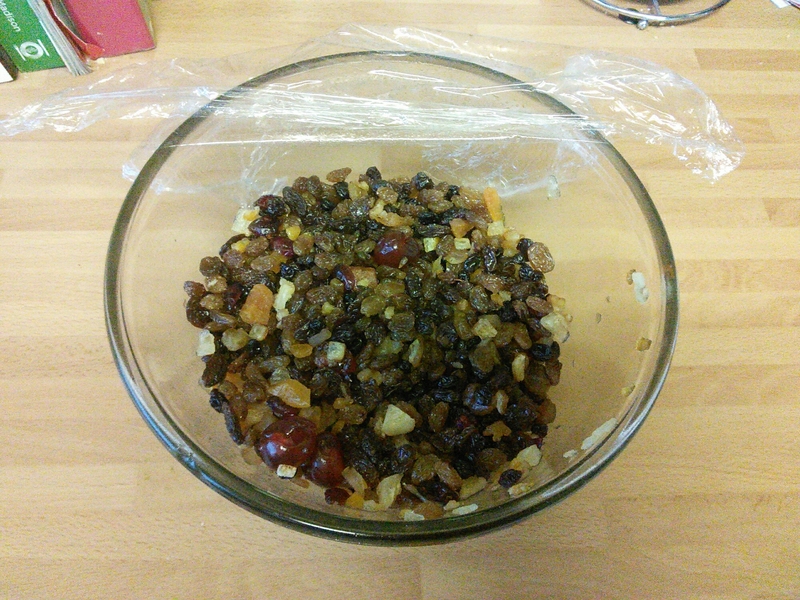 Then gently mix the ingredients together, you aren’t trying to get a completely uniform consistency so just mix gently. And that’s it! You could put it into individual serving dishes if you wish, or leave it in the big bowl to serve at the table. Enjoy! Any ideas? No? It’s the water from a can of chick peas! The reason this works is the proteins from the chick peas work in the same way as the protein in egg white. I’ll admit I was a little skeptical at first, but also curious enough to give it a go. Preheat the oven to 100 degrees Celsius. I used my stand mixer with the balloon whisk attachment. Start by putting the chick pea water and vinegar into the bowl and whisking on high speed until you have stiff white peaks. I’ve read that you can’t really over-whisk and that some people have needed to whisk for a long time to get fluffy peaks, so hang in there and don’t stop too soon! Once you’ve got your stiff peaks then add the sugar, one spoonful at a time whilst still whisking on high speed. Continue mixing until all the sugar has dissolved and the texture in smooth and fluffy, just like a traditional meringue. Finally add the vanilla extract and whisk until all mixed in. Form into whatever shapes you wish, I think it’s probably even strong enough to pipe. I decided to do one large and several individual size. Place in the centre of your oven for about an hour and a half*. 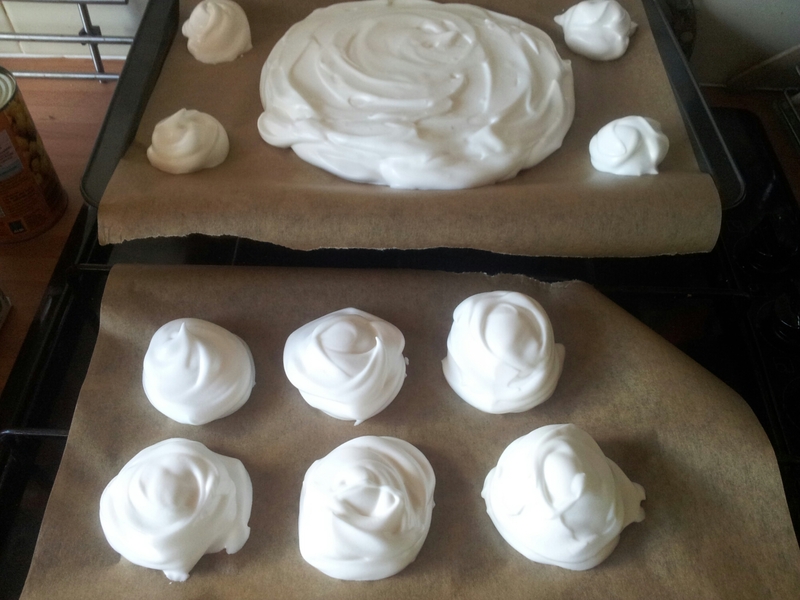 Once the time is up, don’t open the door, instead leave the meringues in the oven until they and the oven have completely cooled, at least 3 hours but longer if you can. 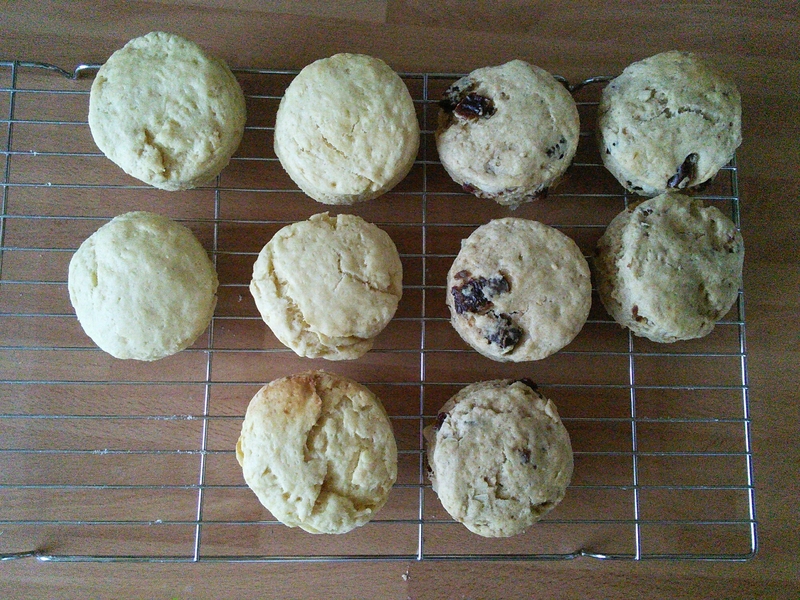 *I think mine actually needed to cook for longer as they were a bit gooey in the centre and the top broke off the bottom when I tried to remove them from the baking paper. However the taste and texture of the top parts was excellent and I will definitely be trying this again. I think for a first attempt these are not too bad, and perfect for just shoving in my face an Eton mess type dessert 😉 Happy baking! I love the post Christmas clearance bins at the supermarket! You find the strangest things at super cheap prices. For example last year I got an audio ear warmer (you know the type with the built in headphones) for only £2.50! 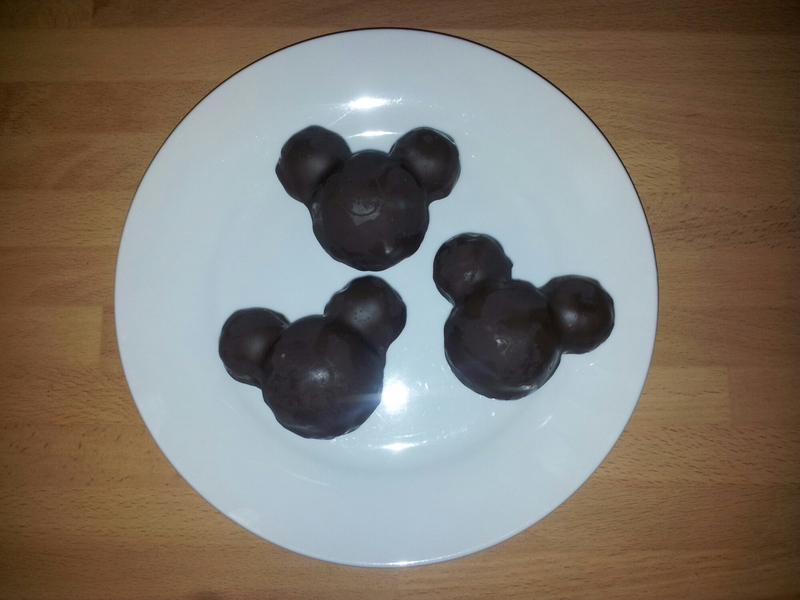 This year I found a set of 3 Mickey Mouse cake pop cold moulds. And it seemed like the kind of thing that would be fun to use with a toddler. This recipe is based on my raw date cookies and would work just as well as cookies for a more grown up finish! The mixture is made in a food processor. Start by blitzing the cashews until they’re fairly finely chopped. Then add the dates, raisins, coconut and porridge oats and blitz again until everything is well chopped and combined. Finally add the tahini paste and maple syrup and blend until the mixture sticks together. Now comes the fun part: shaping! If you’d rather make cookies then simply roll a spoonful of the mixture into a ball, and flatten it into a cookie shape. Lay on a sheet of baking paper and chill in the fridge for an hour. If you are using moulds, like we did, then fill the two halves of the mould, press together and carefully remove your beautifully shaped “cake” pop. Lay on a sheet of baking paper and chill for at least half an hour. 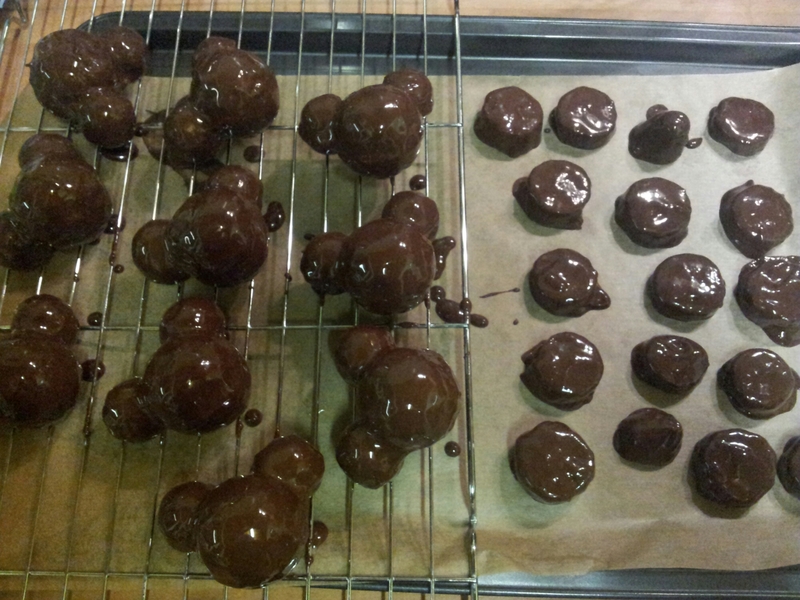 Using a bain marie melt your chocolate and fully coat the pops. If you have lollipop sticks then make sure you insert them before coating with chocolate. There are great videos on YouTube showing how to do it. I couldn’t find any sticks so I used a spoon to place them in the bowl and drizzled over the melted chocolate. 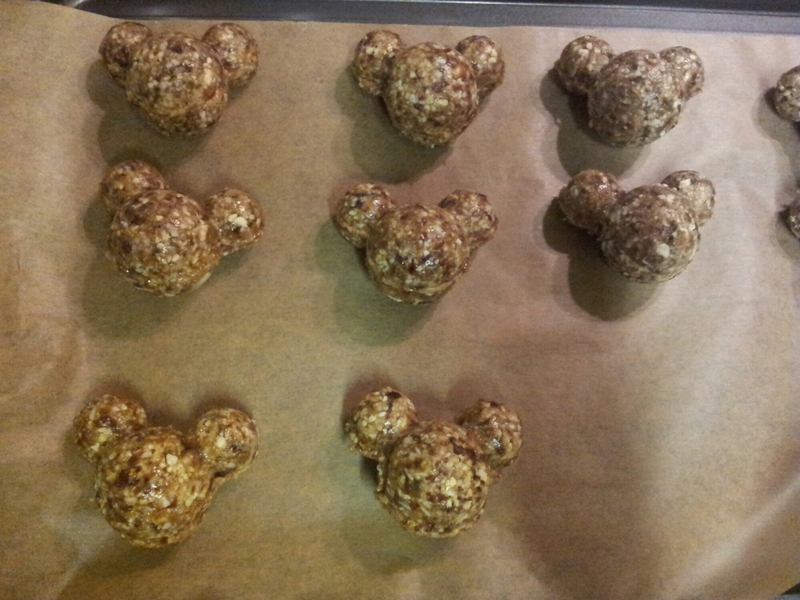 When they were coated I placed them back on the baking paper for the chocolate to set. I also used up the extra melted chocolate by coating some slices of banana. Yummy! It’s funny, even though I’ve been counting down to the end of December for the last 8ish months, I still feel a bit shocked that it’s already time to make the Christmas cake! But I’ve had the fruit soaking overnight so it was time to get mixing! I used the same Christmas cake recipe as last year, the only difference being I had a little “helper” this time! It’s such an easy mixture to make, doesn’t need to be made months in advance and the fruit stays beautifully distributed. And now the house smells deliciously of lemon zest, spices and baking cake. Yummy! Did any of you try this recipe last year? How did it work out for you? OK, so I realise I’m a little late to this party and I’m only just discovering something lots of people already know about, but how amazingly delicious is whipped coconut cream?! I don’t really know why I just assumed there wouldn’t be a vegan alternative, but I’m so glad there is. Because it’s amazing! Chill the coconut milk in the fridge overnight, this will cause the contents of the tin to separate into the solid cream we’ll be using, which will float on the top, and the water underneath. Open the tin without shaking it first! If you shake it at this point it will mix together and you’ll have to start again! Carefully spoon out the solid cream into a bowl, trying not to pick up any of the water as this will affect the consistency of your whipped cream. Add the icing sugar, then using an electric mixer whip your cream to the desired texture making sure you don’t leave any lumps. 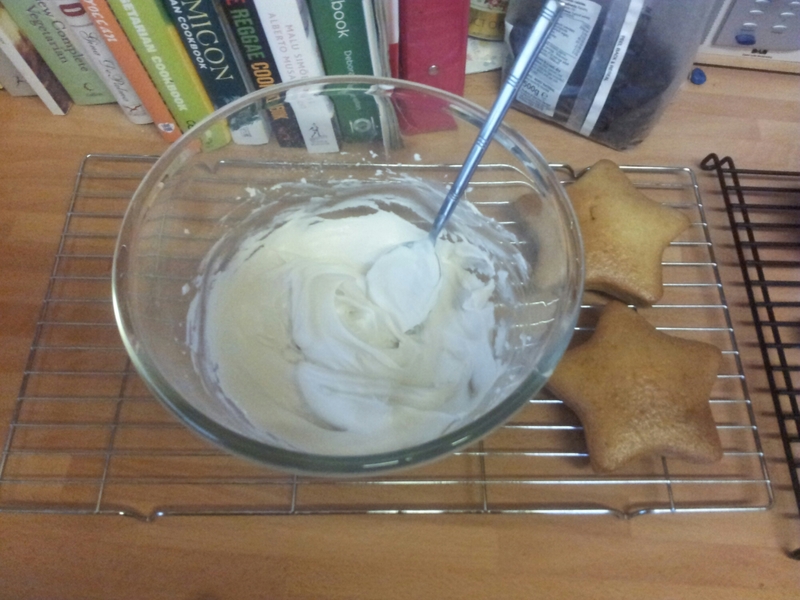 Try flavouring your cream with a little natural extract for an extra hit of flavour, eg vanilla, almond, lemon maybe? Not tried that but it sounds nice so I might give it a try. I also feel a tiramisu style dessert coming in the near future so watch this space for more coconut-y deliciousness! With nearly a kilo of brambles in the fridge and freezer from our foraging trip on Tuesday it was fairly inevitable that they would start to feature in my cooking! 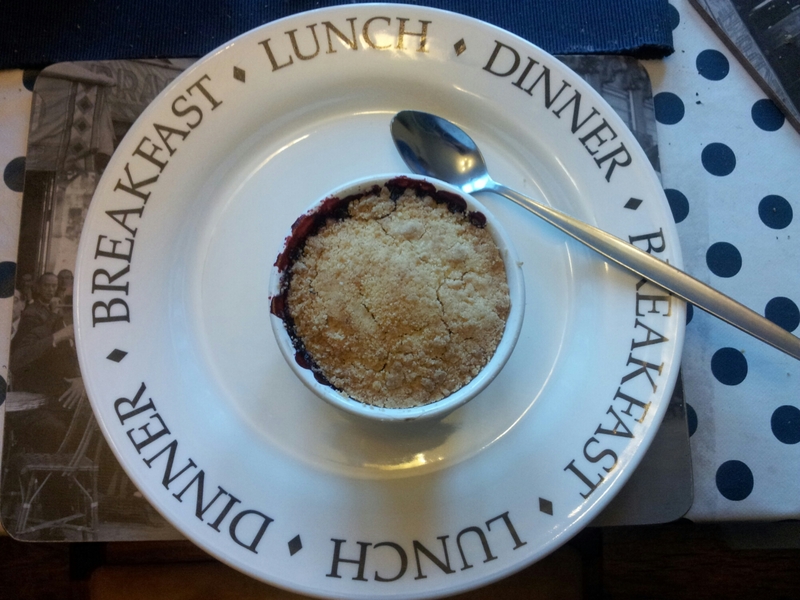 So yesterday I decided to whip up some individual crumbles for pudding. There’s no reason they have to be made small, I just fancied using my ramekins as they don’t often get an outing. Enough filling for your dish (perhaps an unhelpful statement but it depends how deep you like your fruit layer to be. I filled mine to about 1cm below the top of the dish). Use brambles, apple, rhubarb, cherries, etc. Start by preheating your oven to 180°c. Fill your dish with whichever fruit you are using and level off the surface. If you are using fruit that’s quite tart, you may wish to sprinkle sugar over the fruit to help sweeten it. Most of my brambles are nice and sweet, but a couple are quite mouth puckeringly sour, so I used about a teaspoon of sugar and they turned out beautifully, not too sweet and not sour at all. Add all of your topping ingredients to a bowl and mix together using your fingers until the consistency is similar to sand. Divide evenly between the ramekins and pat down with the back of a spoon. *Note: to make your topping more interesting try using 1 1/2 tbsps plain flour and 1/2 tbsp porridge oats, keeping the same quantities of sugar and butter.